For the eighth round of the season, Citroën Total Abu Dhabi WRT is tackling one of the most famous and demanding events on the WRC calendar. Running a C3 WRC that has been upgraded again, the team will be represented by Craig Breen – Scott Martin, Mads Østberg – Torstein Eriksen and Khalid Al Qassimi – Chris Patterson. Be at one with your car. In Finland, more so perhaps than anywhere else, being at one with your car is absolutely critical if you are to commit fully on what are some of the fastest stages of the season, contested among the dense Finnish forests. With four overall wins (2008, 2011, 2012 and 2016) secured in the country of a thousand lakes, Citroën Total Abu Dhabi WRT has already proven its ability to choose the right set-up for this unusual event. Here, for once, precision tends to be a little more important than grip. 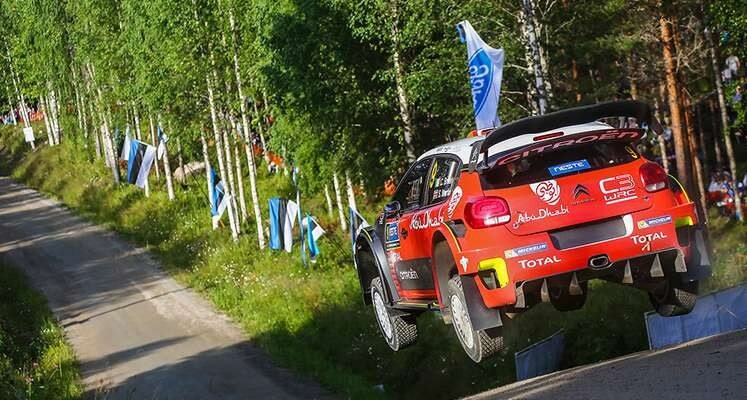 With the introduction of a new front axle geometry, tested competitively at the recent Rally Estonia by Craig Breen in preparation for Finland, the Red Army has in any case fine-tuned the balance of the C3 WRC. 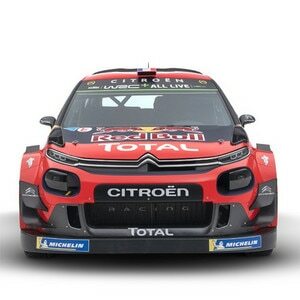 The French car will be once again driven by Craig Breen and Mads Østberg at what both drivers see as one of their favourite rounds of the year. The Irishman and the Norwegian will be also looking to make the most of their substantial experience on the Finnish stages, with eight and twelve previous appearances to their names respectively and each having a best result of third overall. Khalid Al Qassimi, back in action after his first outing in Argentina, will however be adopting a different approach. At a rally that he also knows well, but which is always a major challenge, the Emirati driver's sole aim will be to gradually get his bearings back in the car and make it to the finish. Given the speeds reached on the stages, knowledge of the course is absolutely critical in order to set up accurately for the countless crests, big and small, which have built the reputation of this rally over the years. However, more than twenty percent of the itinerary will be new this year: the Vesala shakedown, stages such as Ässämäki (4/9) and Äänekoski (5/10) on Friday are brand new, as is Laukaa (20/22) on Sunday, whilst others have only been changed in certain sections. The crews will therefore be required to perform something of a balancing act, especially on the first pass, as they confirm, at full throttle, the paces notes taken in recce at significantly slower speeds. This unmissable summer rally, famous for the very narrow margins that invariably separate the crews, promises once again to be a hotly contested race!